Celeb Gossip News – Star Wars HUGE Hayden Christensen Anakin Darth Vader news: Is he BACK in Episode IX? There have been endless rumours, reports and leaks surrounding the returns of the original Skywalker in Episode 9. Christensen has even apparently been spotted on set at Pinewood, outside London. There was a spine-tingling description of supposed concept art which revealed a powerful scene between Kylo Ren and his grandfather. But now there is major official news which will reignite hopes for a Vader return. JJ Abrams has long asserted his intention to honour and include as much as possible from the Original and Prequel Trilogies in Episode 9. 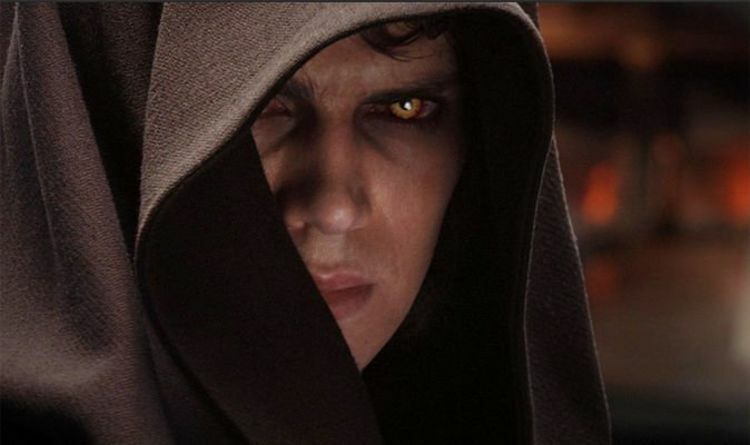 Fans already know that Luke and Leia will be back but the Skywalker Saga started with Anakin and it will be strange if he, too, does not appear. Almost nothing is known yet about the final film and fans are desperately waiting for the first footage, trailer and title reveal. It looks almost certain that Disney and Lucasfilm will unleash the big guns at Star Wars Celebration in Chicago. The biennial event takes place from April 11-15 and will include a centrepiece Star Wars 9 panel. The exciting new information about Christensen will only raise the anticipation. So far, there has been no confirmation of the line-up at the panel which will take place over the weekend of April 13-14. However, Christensen has just been confirmed for photograph and autograph sessions alongside fellow Star Wars icons Billy Dee Williams and Ian McDiarmid and he will only be available on 13-14 April. Unsurprisingly he is also the most expensive by far at $ 199. If he is there in the building, surely there is a huge likelihood he will also be involved in announcements about Episode 9? It would seem strange to wrap up the entire Skywalker Saga, without the granddaddy there on screen, too. As well as the rumoured Kylo Ren scene, fans are also hoping for an echo of the iconic Force ghost moment from the Return of The Jedi. Christensen was already digitally inserted into the updated version of the movie, but to see him standing alongside the ghost of Luke (and many fans are starting to think, Ben Solo) would be truly spectacular. In just three weeks, all may be revealed.